When all or most of your teeth are lost, there are many choices to restore them. Restoring an arch with dental implants is the best treatment to address this complex dental need. Unfortunately, replacing a full arch of teeth with fixed implant crowns and bridges can result in a costly and complicated treatment plan. Therefore many patients resort to traditional dentures. Dentures can work for some patients, but they don’t work well for most patients. Many of them struggle to keep their dentures secure, particularly in the lower jaw. If you have this problem, you already know about the embarrassment of slipping dentures, not being able to eat the foods that you love and the ineffectiveness of denture adhesives. Luckily, Dr. Shi at Centre Dental in NYC offers an alternative option for restoring a full arch of teeth using implant overdentures. 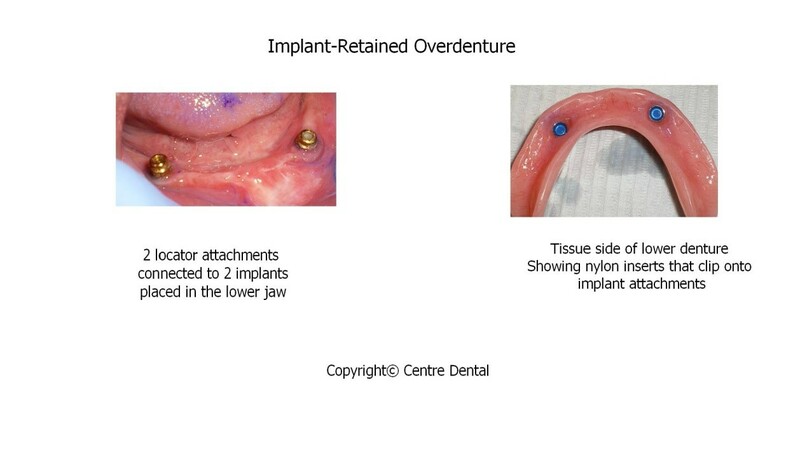 Using the latest technology, an overdenture can snaps onto implant attachments for support and retention. 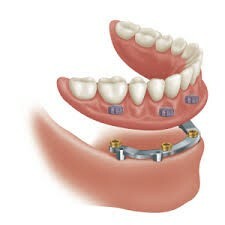 Implant overdenture is securely attached to implants so it does not move or wobble. 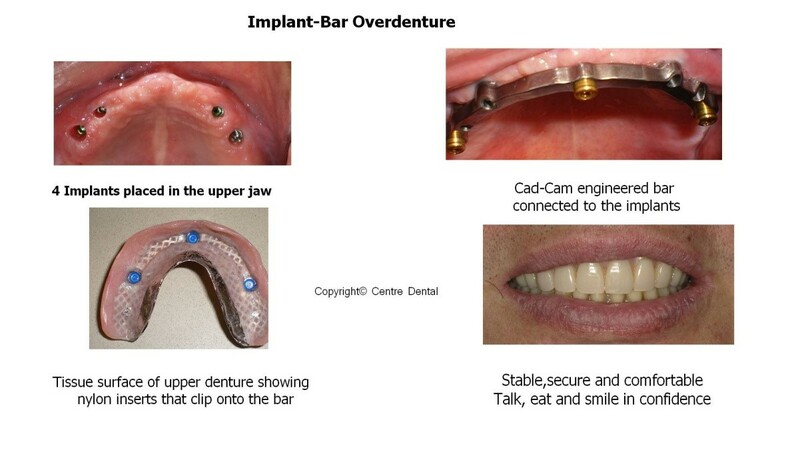 We offer two kinds of overdentures: bar-supported overdentures and implant-retained ovredentures. Cost effective—it cost much less than the fixed implant bridges. Improved esthetics—it provides soft tissue support so patients often look younger and more esthetically pleasing. Unlike the traditional denture, it does not cover the palate (where taste buds concentrate) so you can enjoy food again. Also you can speak better. 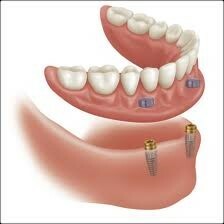 Denture is retained (but not supported) by individual implants (2 minimum, 3 is recommended). Denture rests on and supported by gums. Very little surgery required. Great for patients with compromised health or advanced age. Very cost effective. An old working denture can be converted into overdenture for more cost savings. Recommended for lower jaw treatment. To see if you are a good candidate for an overdenture, please see us for a free consultation. Let Dr Shi at Centre Dental in NYC improve your quality of life by this non-invasive conservative approach to restore your missing teeth.